What is a Video Alert? A Video Alert is an effective, visual tool to showcase information or updates to staff. 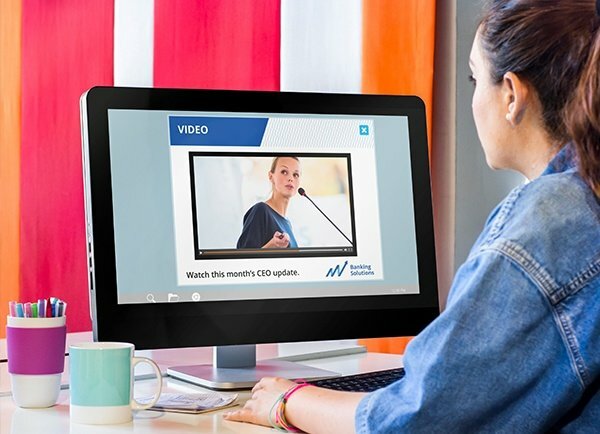 Delivered direct to employees’ desktops and mobile devices, a SnapComms pop-up Video Alert is an exciting and dynamic way to communicate important information to staff, regardless of their location. The popularity of video has seen the use of this favorite format increase throughout organizations. However, extra time and effort is required to produce internal videos. That’s why you want to be certain your video content is seen by staff. 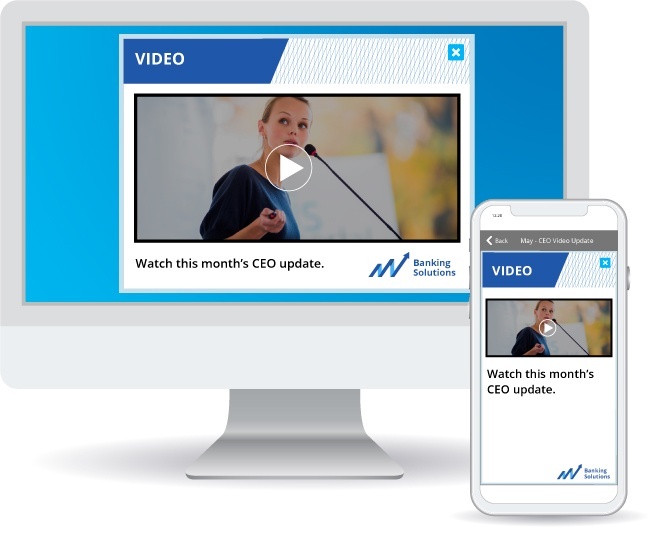 Video alerts vividly showcase new products, marketing campaigns, leadership interviews and so much more – raising interest, engaging staff and promoting a consistent message. SnapComms pop-up Video Tool delivers video content direct to employee desktops and mobile devices. They are easily set up in the SnapComms Content Manager. Once published, all employees with the SnapComms App installed on their desktop or mobile phone will receive a pop-up or push notification featuring the video message. This can have the option to watch now or later. 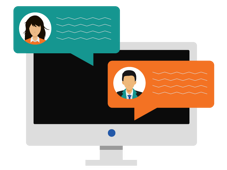 Targeting features allow delivery of customized messages to different employee groups. Viewership of your important videos can be increased through message recurrence – repeat notifications until staff watch it. Easy-to-use reporting tools let administrators see who has viewed the content and how many have engaged with it in some way (eg. Clicking through on hyperlinks for more information). Combining instant cut-through and eye-catching visuals, Video Alerts are uniquely effective at getting employee attention and creating interest. The direct-to-screen video notification completely bypasses email, ensuring staff cannot unwittingly ignore it – which so often is the case with internal email. Building engagement is easier with Video Alerts. If your staff are geographically dispersed, video alerts keep lines of communication open while also conveying the commitment and energy of the speakers. Common Use Cases: Video Alerts in Action! Demonstrates empathy by having senior management or C-suite front-up via video to address issues of inclement weather, terrorism, travel etc. READY TO BE WOWED BY VIDEO ALERTS? See for yourself the effectiveness of Video Alerts with a quick, zero-obligation demo from one of our friendly communication specialists. 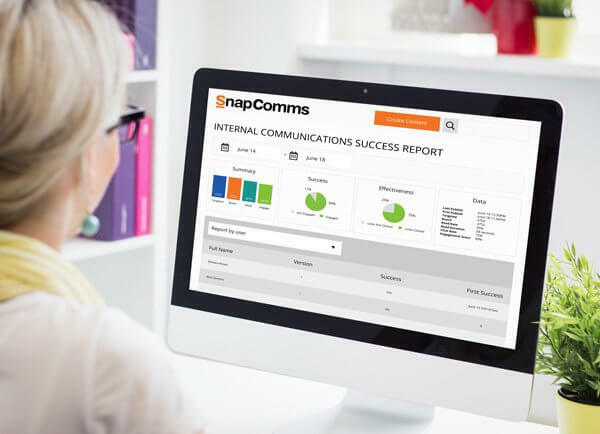 SnapComms has proved to be a valuable tool in communicating with our customer services teams. The tool's effectiveness in delivering timely, targeted messages ensures that our advisers have relevant, up-to-date information so that they can deliver great service to our customers.